Visitors to this site can access information on tropical storms and hurricanes in the Atlantic Ocean as far back as 1851. 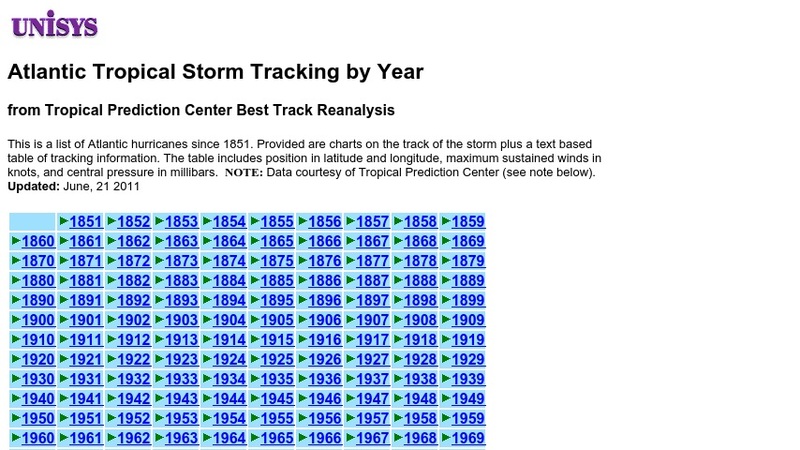 Information provided here includes a yearly map showing the tracks of all storms, and individual maps for each storm. The individual maps are accompanied by data tables that show latitude, longitude, wind speed, dates, and times.